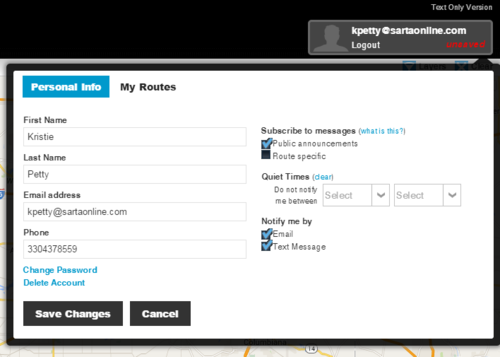 PinPoint has several features that allow riders to easily use SARTA's reliable servcies. Simply text "PP"+"Stop ID" (ex. PP1234) to 321123 to receive a text of when the bus will be to a particular bus stop. Looking to use SARTA’s Fixed Route or Proline services? You can schedule a Travel Training class, a 45-minute presentation, which teaches you how to effectively use our services! Our Outreach Specialists will interact with you or your organization’s clients and teach you: Planning a bus trip Locating and transferring to other buses Paying bus fares along with purchasing tickets Using SARTA’s innovative PinPoint system to track the bus in real time Any questions you may have about SARTA’s fixed route Do you use Proline? You may be interested in our Proline training.